Human Rights Day is just around the corner on 10th December 2015. Human rights and equality are relevant to all our lives; yet people can only claim their rights if they know about them. What will you be doing to mark Human Rights Day? We have published a pack of downloadable Human Rights Day images here, so that you can customise your website and profiles to mark the day and raise awareness of how human rights and equality are relevant to all our lives. 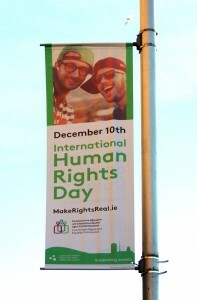 Keep an eye out also for our Human Rights Day street banners, which will be posted around Dublin to mark the Day. Since 1950, Human Rights Day is observed every year on 10th December. It commemorates the day on which, in 1948, the United Nations General Assembly adopted the Universal Declaration of Human Rights. The aim of Human Rights Day is to draw attention to the Universal Declaration as the common standard of achievement for all people and nations. 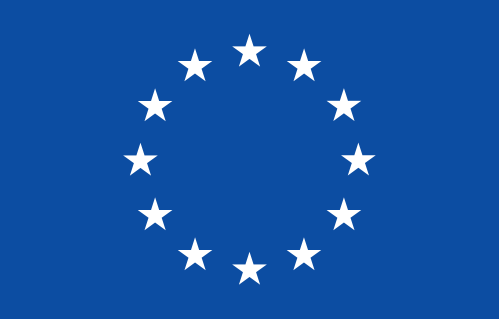 Both covenants were adopted by the UN General Assembly on 16th December 1966. From December 2015 onwards, the UN will celebrate the 50th anniversary of the covenants with a special campaign entitled “Our Rights. Our Freedoms. Always.” Further information about this campaign is available here.